You all know Amazon as the world’s biggest online retailer. But for many savvy entrepreneurs, it also represents a great business opportunity. A lot of people are using Amazon to start their own businesses, and some are even earning a living through the site. This has led many people to wonder how to make money on Amazon. The internet is filled with get-rich-quick schemes and money-making opportunities that seem too good to be true. However, Amazon provides people with several different ways to legitimately make money. So, if you’ve ever thought about starting your own online business, this may be a great place to start. But just how do you start an Amazon business? 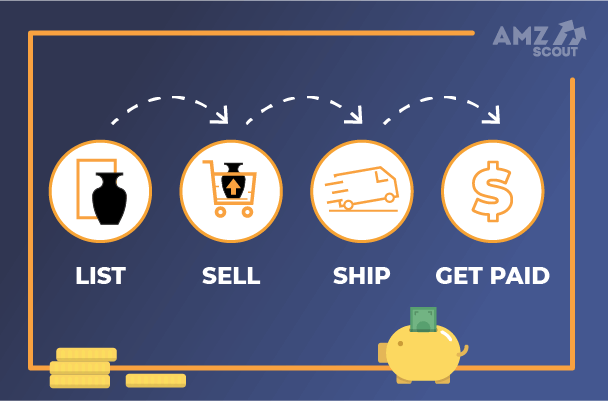 We’ve outlined all the different ways you can make money on Amazon below, and included some helpful tips and tricks to get you started. The easiest way to make money on Amazon is to become an Amazon affiliate through their Associates Program. With this program, you don’t need to create, source, or sell any of your own products. Instead, you simply refer customers to other people’s products and collect a small commission. Signing up with Amazon Associates is free. Once you have an account, you can place affiliate links that contain unique tracking IDs on your websites and social media accounts. If someone clicks one of your links and buys something, you can earn up to a 10% commission on the sale. 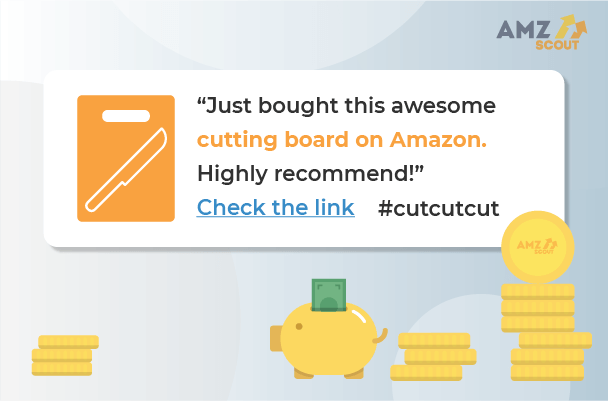 For example, say you want to promote a cutting board on Amazon. You would place an affiliate link to that product on your website. Every time someone clicks your link and makes a purchase, you get paid. And the great thing is, it doesn’t even have to be the product you were promoting. If someone arrives on Amazon through one of your links and purchases anything, you’ll get credit for the sale. Unlike becoming an Amazon seller, there’s no upfront cost to joining the Associates Program. So, if you don’t have a lot of money to invest , this is likely a good option. However, if you really want to succeed, you’re going to need a fairly strong following, either through your website or social media. Remember, you only a receive a small portion of the sales, so you need to drive a good amount of traffic to Amazon in order to make money. Promote Items That Offer Higher Commissions: Amazon commissions vary depending on what product you’re selling. For example, video games only have a 1% commission, while fashion items have a 10% commission. Make sure you do your research before promoting products and find items that offer a favorable commission. Focus on High-Priced Items: Because you’re only getting a small percentage of each sale, you’ll want to focus on promoting higher-priced items. For example, let’s say someone uses your affiliate link to purchase a cooking knife for $10. Kitchen items offer an 8% commission, but that’s still only a $0.80 commission on a $10 sale. However, if they use that link to purchase a $200 mini-fridge, you’ll make $16. That’s a big difference. Use Good Content to Promote Your Links: You can’t just post a link and expect people to buy a product you’re promoting. Back it up with detailed, honest, and thoughtful content. Write a detailed review of the product, or create a “top 10” or “top 20” list to introduce people to the products and entice them to click through. Use High-Quality Product Images: People often need to see a product before they can decide whether or not they want to buy it. Adding high-quality product images to your content can greatly increase the number of clicks your affiliate links will receive. You can even link to Amazon using your product images, which is an excellent tactic to increase click-throughs. The Amazon Associates program is a great way to make money without a large upfront investment. However, if you’re serious about building a real online business and are willing to invest some money, you’ll likely want to become an Amazon individual seller. 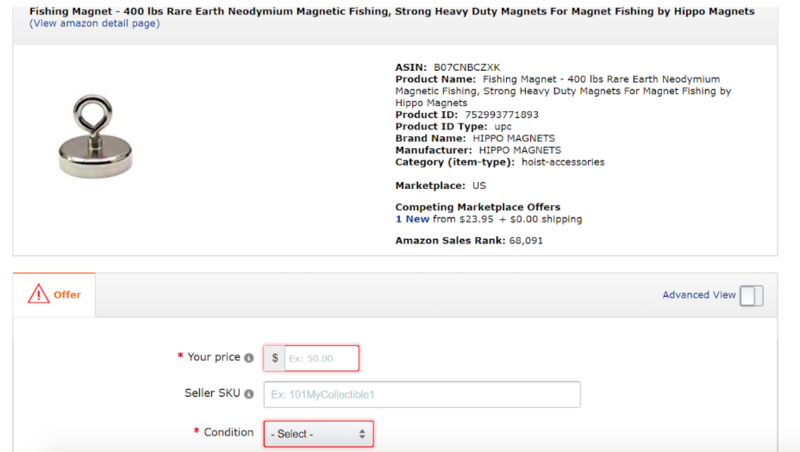 Amazon sellers acquire products (we’ll go over the many ways you can do this below) and then sell those products on Amazon. The company charges a referral fee (on average 15%), with the rest of the sale going to the seller. This means that while there’s more work and more upfront costs, the potential profits are much greater than becoming an affiliate. In fact, some sellers make upwards of $1 million per year, so if you’re dedicated there’s huge potential to grow a successful business. 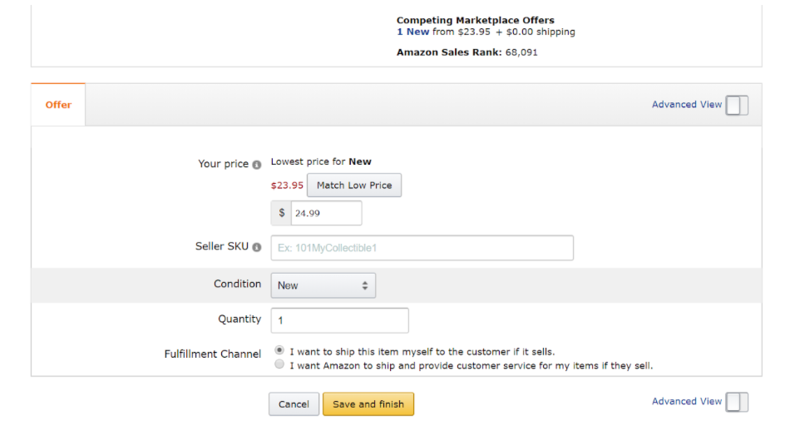 Below we’ve outlined how to become an Amazon individual seller. The first step to selling on Amazon is to set up your seller account. To get started, just head over to the Amazon.com homepage and click the “Sell” link at the top of the page. Before you sign up for your account, you’ll need to decide whether you’re going to be an Individual Seller or a Professional Seller. A lot of people ask us, “how much does it cost to sell on Amazon?” Here’s where you get your answer. Individual Sellers have the benefit of paying no monthly fee, but they have to pay a $0.99 fee for every product they sell. If selling on Amazon is just going to be a side hobby for you and you only plan on selling a few items per month, then this plan will likely be sufficient. 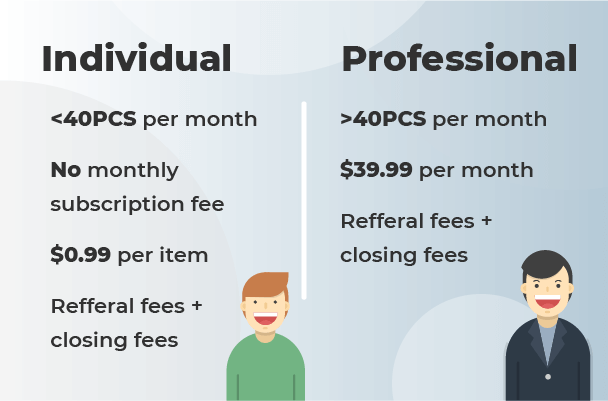 Professional Sellers are required to pay a monthly fee of $39.99, but they aren’t charged the $0.99 fee for every product they sell. If you plan to grow a large business and hope to move a lot of products per month, then this plan is the one you’ll want. To complete the rest of the account setup process, you’ll need to give Amazon your legal business name, address, contact information, email address, an internationally chargeable credit card, and your tax identity information. Amazon will also phone you during the process to confirm your information, so have your phone nearby. 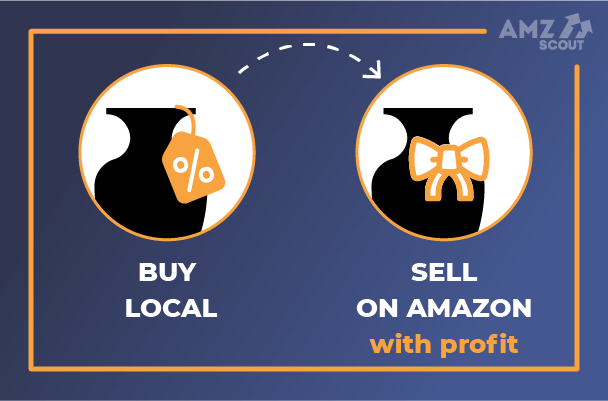 Once your account is set up, you’re ready to start selling on Amazon. Now that you have an Amazon seller account, you’re probably wondering how to sell products on Amazon. 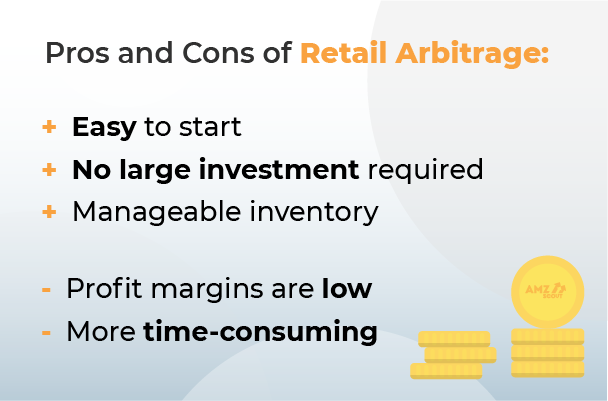 There are a few different strategies you can employ, and the first one we’re going to cover is retail arbitrage. This is how a number of Amazon sellers get their start, and it’s a great way to learn how to make money selling on Amazon. Lots of people think Amazon offers the lowest prices, but that’s not always the case. In fact, oftentimes certain products are more readily available in some regions than others, which means they sell for much less in local retail stores than they do on Amazon. Retail arbitrage works by scouring stores for items selling at low prices, purchasing those items, and then reselling them on Amazon at an increased price. In some cases, you can find items selling at less than half the cost of what they’re selling for on Amazon, which means that even after the company’s referral fees you can still make a nice profit. Searching stores product by product to find underpriced items may seem like a lot of work, but a couple of apps have made the process much easier. The Amazon Seller App and the Scoutify App let you scan items with your smartphone, instantly telling you what the item is selling for on Amazon and estimating your potential profits. The main benefit of retail arbitrage is the low upfront cost. Most wholesalers or manufacturers have a minimum order quantity, meaning you’ll have to make a substantial order to work with them. Retail arbitrage allows you to start small, purchasing a few items from local retailers without a huge initial investment. However, as you can imagine, this strategy is really hard to scale and there will likely be a cap on how much profit you can make. Retail arbitrage is a great way to make some extra money and learn the ropes of selling on Amazon, so if you’re a beginner and wondering how to sell on Amazon, this is a good start. But if you’re really serious about growing an online business, you’ll likely want to look at one of the other strategies. For those who have a little more money to invest, you may want to consider buying products from a wholesale supplier, or straight from the manufacturer. These types of suppliers sell products at much cheaper prices than retailers, which means you’ll enjoy much better margins. The downside is that generally, you’ll have to buy in bulk. Even when purchasing the minimum amount allowed by suppliers, orders can still be very expensive. And to get the best price per product, you need to place a larger order. 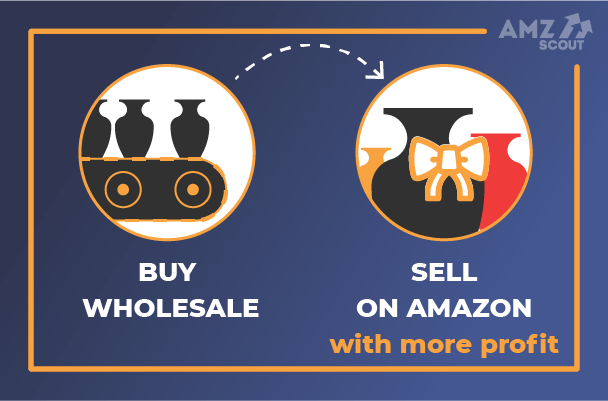 This means that if you’re going to go the wholesale route, you need to be confident you can sell the products on Amazon once you purchase them. So stick to products you know are popular. This is generally going to include name-brand products and products that have staying power and aren’t just a passing fad. Also, be on the lookout for popular products that aren’t being sold by Amazon itself, as this will decrease your competition. Next, you’ll need to find a supplier. It’s important to note that in order to deal with wholesalers, you’ll need to establish a business. A simple sole proprietorship or LLC will do. 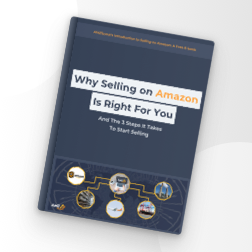 The process is actually fairly simple, and if you’re serious about selling on Amazon, then setting up your own business is a good idea anyway. A simple Google search should help you identify wholesalers who are offering your product. You can also try going directly to the manufacturer to see if they will sell their product to you. The first thing you need to remember is that most wholesalers and manufacturers are willing to negotiate, so don’t be discouraged if their first offer to you doesn’t work with your budget. Finally, try not to purchase too much inventory right away. Test your product first. If it sells well, place a bigger order to cut down on the per product cost. However, if you have trouble moving your inventory, get rid of it at cost and move on to something more profitable. 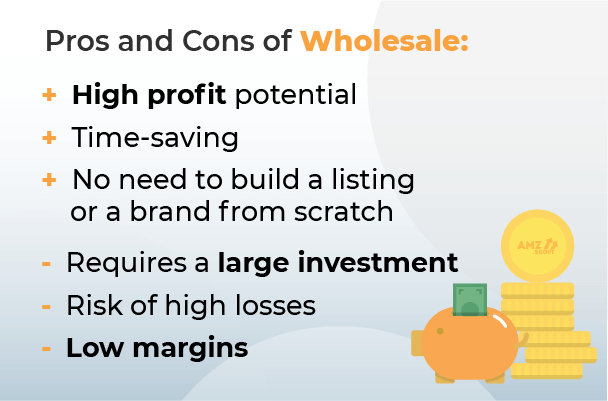 Buying products from wholesalers is more work and more expensive than retail arbitrage, but because your cost per product will be lower, the potential profits will be much higher. Your last option is to create your own private label products to sell on Amazon. This is when you actually create your very own custom products, either by rebranding an existing product, putting a new spin on an established product, or coming up with something completely original. This may sound like a lot of work, but it’s actually easier than you might think. The best strategy is to find popular products on Amazon that have low competition. AMZScout PRO for Google Chrome can help with this and will quickly identify products that have the potential to be profitable. Next, start reading the reviews of these products. What are people complaining about? Maybe the product isn’t very durable, maybe it doesn’t come with very good instructions, or maybe other sellers aren’t offering a good selection of colors or variations. Come up with ways to solve these problems and develop a new and improved version of the product. Next, find a manufacturer to create your new product. Alibaba is the most popular choice and offers a wide variety of manufacturers to choose from. Find a company that offers the type of product you're looking to create and email them about your idea. Assuming the company is able to create your product, request a sample. Most manufacturers are happy to create a prototype and send it to you for a small cost. This will give you a chance to inspect the quality and ensure that everything works the way you want it to. You’ll also want to consider coming up with your own branding for the product and packaging. This will help differentiate you from the competition and begin to build brand recognition. Once you’re happy with the product and the packaging, place your order. Remember, just like wholesalers, manufacturers are open to negotiation. Also, since most manufacturers are located in China, you’ll want to factor shipping into your cost. Depending on the size of your product, and the type of shipping you choose, this can get rather expensive. Make sure that the combined cost of the product, shipping, and Amazon’s referral fee still leaves plenty of room for you to make a profit. 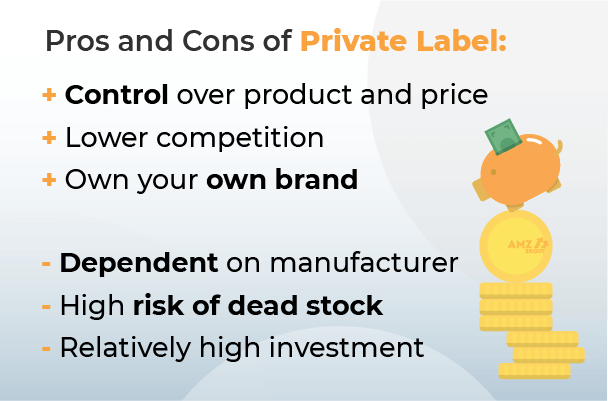 So, why create your own private label products on Amazon? The simple reason is less competition. Purchasing wholesale products is great, but people can easily purchase the exact same product as you and decide to sell it for less. However, if you have your own unique product, it will be much harder for people to copy you. It’s quite likely you’ll have the only product like yours, and if people like it then you’ll have a clear advantage over your competitors. 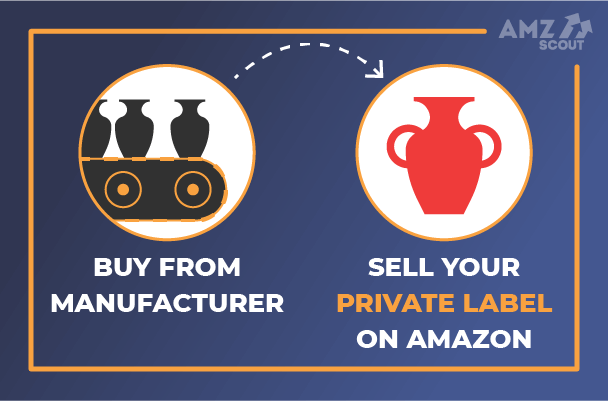 Creating your own private label product is a lot of work, but when it comes to making money on Amazon, this has the chance to be the most profitable. Once you have a product to sell, the next thing you need to think about is how you’re going to ship that product to your customers. Just like everything else when it comes to selling on Amazon, you have a couple of different choices, both of which come with pros and cons. 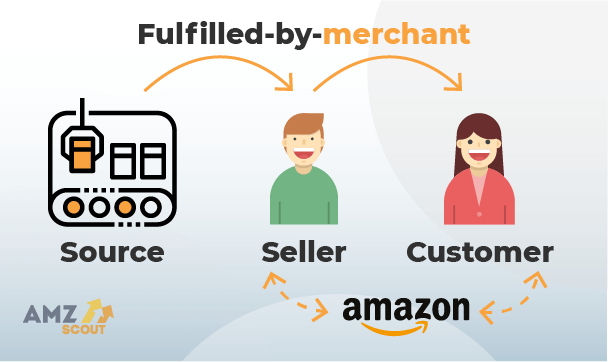 Fulfilled-by-merchant (FBM): With this option, you’ll pack and ship all of your own products. This option is more work, but since you’re doing everything yourself, you won’t be charged any additional fees. If you have a team or a distribution channel already in place, this is likely your best option. However, if you’re working alone and don’t have the time and resources to keep up with shipping all of your own orders, consider the next option. 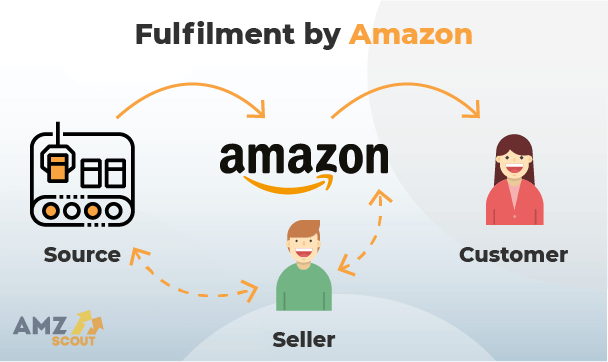 Fulfilment by Amazon (FBA): If you go with the Fulfilment by Amazon option, you’ll ship all of your products to Amazon to be stored in their warehouses. When anyone purchases one of your items, Amazon will pack it and ship it to one of your customers for you. As you might expect, Amazon charges a fee for these services. But for those who are working alone, or are new to selling on Amazon, this is a great option. For most sellers, Amazon’s FBA program is likely going to be the best option. Packaging and shipping orders can be a lot of work, and as you start to sell more products there’s a chance you’ll have trouble keeping up with orders. This can lead to delays in shipping, unhappy customers, poor reviews, and lost sales. Unless you have the experience and resources to ship large amounts of items quickly, leave this side of the business to the pros. The fees Amazon charges for the FBA program are more than reasonable, and it will give you peace of mind that your products will always get to your customers safely and on time. So, you have your Amazon seller account, you have your product, and you have a way to fulfil your orders. Now it’s time to create a listing and start selling. To get started, log into your seller account, and under inventory click “Add a Product.” Make sure you have all of your product information on hand. Amazon will ask for your product name, brand/manufacturer, shape, size, color, package quantity and more. Once all this is filled in, it’s time to decide how much you’d like to sell your product for. Remember to factor in all of your costs before settling on a price. This includes the cost for you to purchase your product, the cost to have the product shipped to you from the supplier or manufacturer, and any Amazon fees you might be paying with each sale. Look at what other sellers are offering similar products for. Be competitive, but make sure you leave yourself enough room for a healthy profit. Keep your title under 200 characters. Keep your product description short and to the point. People have short attention spans, so try to say a lot with as few words as possible. If you need to include a longer description, use bullet points. This helps break text up and makes it easier for customers to quickly digest the information. Focus on benefits, not features. Don’t tell people what your product does, tell them how it’s going to make their life easier or better. Include keywords people might use to search for your products. Finally, you’ll want to include a few different photos of your product. If you’re selling someone else’s product, you might be able to get some photos from the manufacturer. However, if you’re selling your own product, you’re going to have to take the pictures yourself. Consider hiring a professional photographer for this. High-quality professional images can greatly increase sales, so make sure your images do your product justice. Once your listing is complete, click “Save and Finish.” Now you can sit back and wait for the sales to roll in. You’re officially an Amazon individual seller. Merch by Amazon allows you to design and sell your own t-shirts. It’s free to join and there are no upfront costs. This is a new service offered by the company, but it’s quickly growing and represents another great opportunity to make money on Amazon. What makes Merch by Amazon so great is that there’s no need to purchase inventory. All you have to do is create a design, upload it to Amazon, select your colors, and decide on your price. From there, Amazon will do all the work for you. Every time someone purchases one of your shirts, Amazon will print it, pack it, and ship it for you. They’ll even handle customer service for you. You’ll then collect a royalty fee for the purchase. At this time, Merch by Amazon is available by invite only. To apply, head over to the program’s landing page and fill out the form. Keep in mind the approval process can take up to three months, so if you’re at all interested, consider signing up right away to expedite the process. Before coming up with your t-shirt designs, you’re going to want to do some research. You may have plenty of ideas that you think are great, but you should try to figure out what is actually selling on Amazon before putting any time and effort into your designs. Head over to Amazon’s clothing section and see what types of shirts are popular Try searching for different types of shirts like “animal t-shirts,” “cooking t-shirts,” or “sports t-shirts” and see what people are buying. You’re going to want to try to find some niches that are selling enough for you to make a profit, but not too much that there’s going to be a lot of competition. Look for shirts with a Best Seller Rank (BSR) between 100,000 and 300,000. This means the shirt is selling approximately once a day. If you can create something similar, but better, you should be able to make sales without too much competition from other sellers. Focus on shirts that are all or mostly text, as these are easily improved upon. By adding some attractive graphics, you’ll be able to capitalize on the same niche as your competitor while offering a more attractive product to customers. Once you’ve determined what kind of shirt you want to sell on Amazon, it’s time to create your designs. If you’re an artist or a graphic designer, then this should be relatively easy for you. There are plenty of programs out there you can use, such as Photoshop or Illustrator, and even free options like GIMP. Even if you’re not experienced with design, it’s not overly hard to learn. There are thousands of tutorials online that can help you learn the basics. You don’t need to be an amazing artist to create a great t-shirt. With even some basic design skills, you can create an awesome t-shirt that people will love. Of course, not everyone enjoys design. If you’re not interested in creating your own t-shirt designs, you can always hire someone to do it for you. This will add a small cost to your business model, but a professional design can also give you an edge over your competitors. 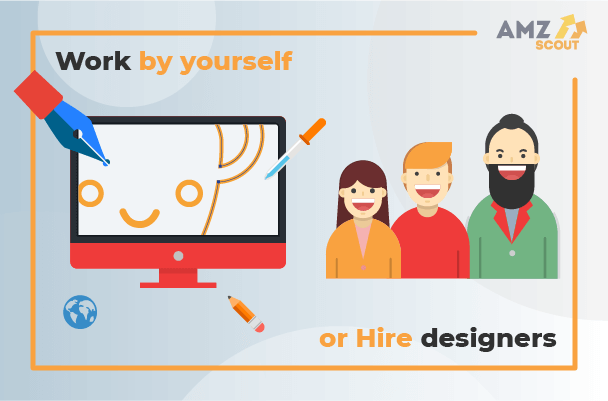 There are a number of sites, such as Upwork, Freelancer, and Fiverr where you can quickly and easily find a designer for your project. Prices will vary depending on who you hire, but for even a few dollars per design you should be able to hire someone capable. 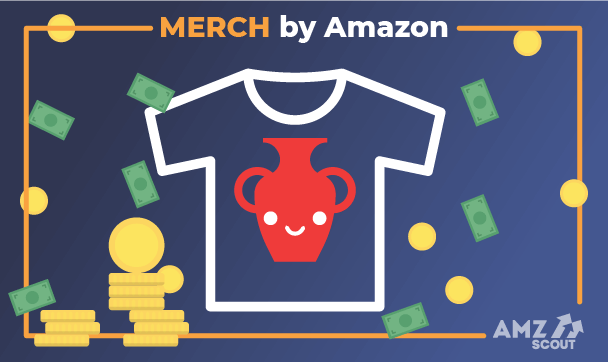 Make sure to download the Merch by Amazon t-shirt templates before getting started on any designs to make sure they’re the proper size. Also, ensure that none of your designs infringe on any copyrights or trademarks currently held by other companies or sellers. If Amazon discovers you’ve infringed on someone’s copyright, they will shut your account down. Once your designs are ready, head over to your Merch dashboard to upload them and select your t-shirt colors. You’ll also need to write a description of your shirt. Use bullet points over paragraphs and include keywords you want to rank for on Amazon. Keep in mind that to begin with you’ll only be able to upload a maximum of 25 designs. 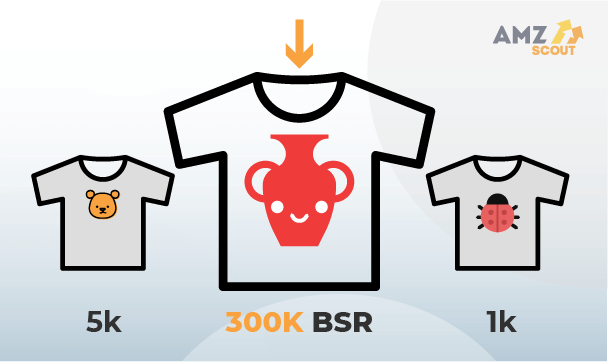 However, once you sell 25 shirts, you’ll be upgraded to Tier 2, where you’ll be able to upload 100 different designs. Once your designs are uploaded and your shirts are for sale on Amazon, you can use the dashboard to monitor your progress and promote your shirts through Amazon ads. If you fancy yourself a writer, or have dreams of writing the next great American novel, then you’re in luck. There’s one more way to make money on Amazon, and that’s self-publishing books on Kindle. Gone are the days when you needed to be signed by a publisher in order to make money as a writer. Amazon lets you publish your own books on the world’s biggest online bookstore. If you’re able to produce a quality book, and market it correctly, there’s definitely potential to make a lot of money on Amazon this way. The first step is to decide what exactly you’re going to write about. Selling a book is like selling anything else on Amazon. You need to start by doing your research and find out what’s popular. Both fiction and non-fiction books can be successful, but if you’re new to writing then non-fiction might be easier. Think of some topics and perform searches for them in Kindle to see what other books are already covering that niche. Look for niches that have books with a BSR lower than 30,000 and have relatively low competition. If there aren’t a ton of books already covering that topic, or the books mostly look unprofessional, that’s a good sign that a niche isn’t too competitive. Once you know what you want to write about, the next step is, of course, to write it. This may seem a little daunting if you haven’t done a lot of writing in the past, but plenty of people have started writing later in life and surprised themselves by what they’ve been able to produce. To start, create an outline. Figure out what all your chapters are going to be, and for each chapter briefly outline what you’ll discuss. Next, you’ll need to produce a first draft. Don’t worry about making mistakes or writing perfectly. Just get all your ideas on the page. Once you have your first draft complete, you can go about tweaking and perfecting it. Start by reviewing the book yourself. Correct any grammatical errors you find, improve areas you feel are weak, and add in any information you missed during the first draft. Once you’ve reviewed it yourself, you should always have it checked by a professional editor. They’ll be able to point out mistakes you missed and recommend changes that will greatly improve your book. Before you publish your book on Amazon, you’ll need to make sure it’s formatted correctly. Amazon has very specific guidelines on how their books need to be formatted. 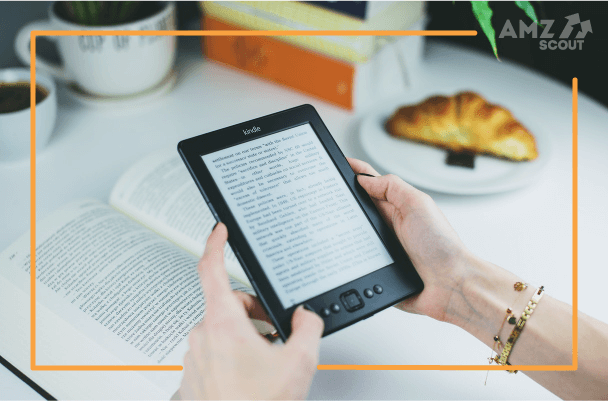 You can either follow their guidelines and edit your document yourself, use a tool like Kindle Create to format your book, or pay a professional to do it for you. If you have the money, it’s often easiest to get someone who’s experienced in this area to do it for you, as it’s just one less thing you’ll have to worry about. 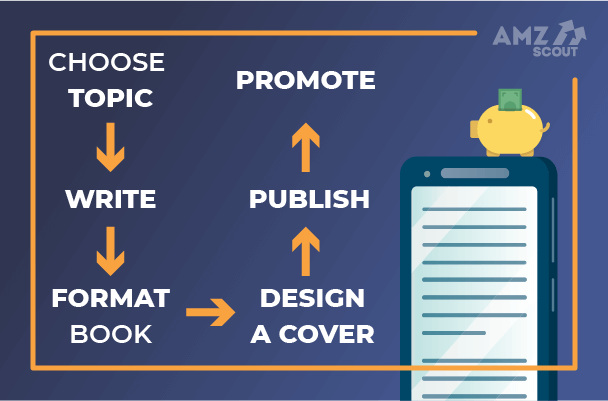 The last step to completing your book is designing the cover. This is one of the most important parts of marketing your book, so you’ll want to make sure it’s done right. If you’re an accomplished designer, then by all means create your own design. But for most people, you’re going to want to hire someone to create a professional book cover for you. You can find designers on Upwork, Freelancer, Fiverr, or 99Designs. Make sure the final product is a JPEG file that’s 2500 pixels on the longest side with a height/width ratio of 1.6. Once everything’s ready, it’s time to publish your book. If you don’t already have an Amazon account, you’ll need to create one. Then go to the Kindle website to create a new title. Here you’ll upload the book file and cover, enter your book’s title, write the description, and set your price. Before publishing, make sure to test it on Amazon’s online viewer to make sure everything looks right. Once you’re satisfied, click “Save and Publish”. Your book should be available on the Kindle store within 24-48 hours. Send your book to friends, family, and any followers you have online who would be willing to read your book and give it a review. You’ll want to get a few reviews to get the ball rolling and establish some social proof. If you have an email list, send out an announcement promoting the launch of your book. Promote your book on your social media channels. Consider creating a time-sensitive offer around your book for people who buy it early on. For example, you could offer a special low price or include a free course or other product along with the purchase. If you don’t have an email list or a large social media following, don’t be afraid to give your book away for free to start. If your book is good, you’ll start to garner positive reviews and be ranked higher in the Kindle store. This will help you get more sales once you start selling it for a profit. As you can see, there are plenty of ways to make money on Amazon. Whether you want to become an Amazon affiliate, be an Amazon individual seller, sell t-shirts through Amazon Merch, or self-publish your own books on Amazon Kindle, there is no shortage of opportunities. If you’re willing to put in the time and effort to do it right, there’s no reason why you can’t build a successful Amazon business for yourself.